In-camp lighting has come a long way from fuel-burning lanterns. Active Junky tested some of the best LED camping lanterns to help you choose the best camp and recreational lighting for your nighttime adventures. In-camp lighting is an ancient idea. Beyond the need for BTUs for cooking and staying warm, remaining alert and secure requires visibility. 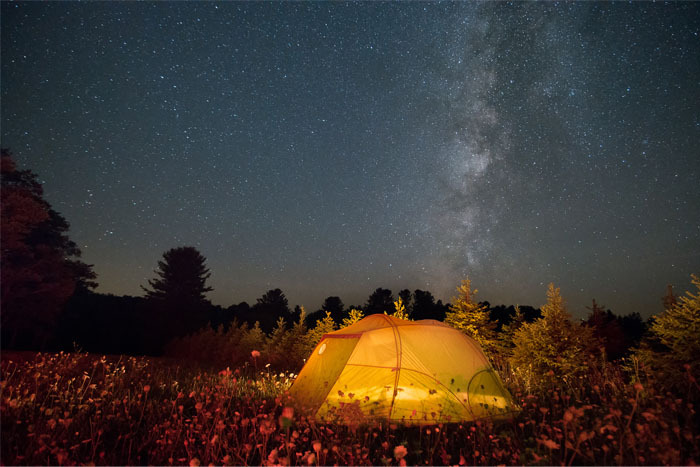 While some argument can be made for trying to function around camp and navigate nearby trails by moon or starlight, most outdoor enthusiasts favor supplemental lighting. While liquid and canister-fueled lanterns are reasonable options, Active Junky selected a group of LED lanterns for evaluation. Given the fast-improving efficiency of both the bulbs and the batteries powering them, there are growing reasons to choose this camp lighting technology. Active Junky selected a range of brands and products from the very storied and traditional to at least one that’s launched in recent months. All used LED bulbs to generate illumination while each finds a different path on total output, battery type and size along with provision for charging other portable devices. Here, the focus is on group use even beyond individual lighting. As such, the range of choices pushes toward higher lumen output, greater total weight and the provision for diverting power to phones, cameras and other electronics. Why the group is going out, whether a duo or larger cadre, leads to either pure fun or the need for power efficiency and utility. Where the light is used sets the pace for each person’s evaluation. 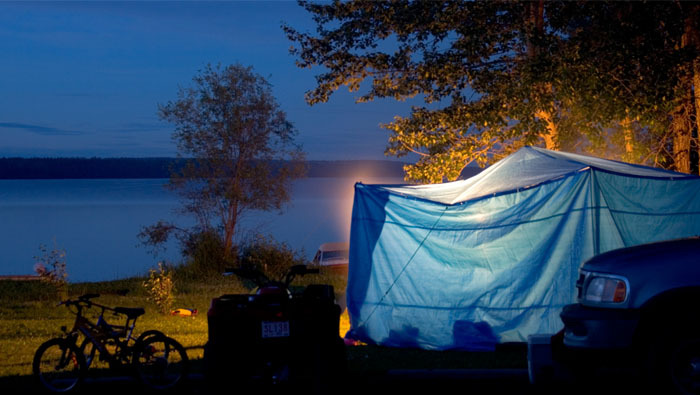 Even the weather conditions surrounding the camping setting send the decision in a specific direction. How durable the light is a key factor in determining the lantern’s value, knowing lighting technology may suggest replacement every 3-5 years to capture improving efficiencies. When the light will be expected to move from group to individual lighting where agility and directional control take over from pure output and stability. Who will be managing the light adds up getting the most out of the stored power. And not being disappointed when the light gives out a long way from being restored through replacement cells or recharging. How much output is helpful? 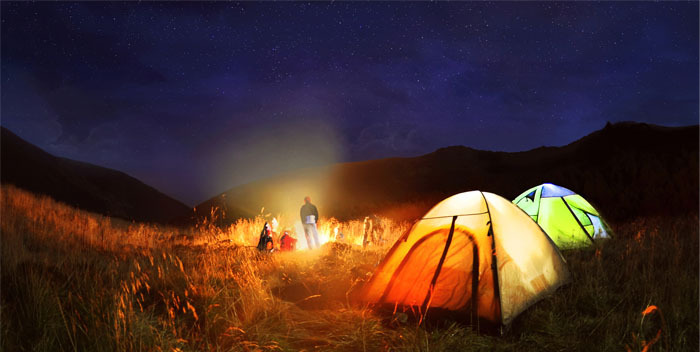 Most camping scenarios include gathering the group, small or large, for meals, campfires and social activities. A camping lantern should create a big enough sphere of light to accomplish this purpose. Is size or weight important? Smaller lights can be extremely efficient but are often less stable in higher winds or irregular surfaces. Also, because they have smaller illumination surfaces, their coverage area is smaller with a bigger drop-off over distance. What about mounting options? Active Junky favors the ability to set, hang, loop, drape and carry a light for use as both a stationery and portable lighting source. Some lanterns do well sitting still but suffer from inflexibility in hanging and carrying modes. Should the lantern also be a power “donor”? 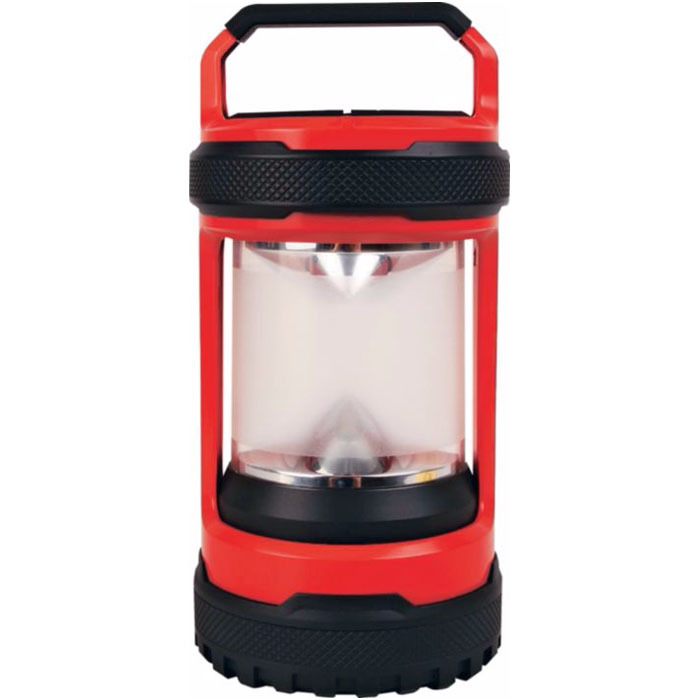 Many next-generation LED camping lanterns provide at least some capability to tap the on-board battery. Know that runtimes of the primary light suffer dramatically when tapped to top-off other portable devices. When are batteries a good idea? Most battery sizes are now available in rechargeables, with some charging stations more universal in the sizes they handle. Drop-in batteries are most helpful in travel scenarios where plug-in power is limited or unreliable. There’s no better match for vehicle-supported, paddle-in or sled-in adventures than the Gear Aid FLUX. The 20,800 mAh battery encased in a durable shell fuels area lighting as well as specialty lighting to shoot photos, repair vehicles and gear and create a field hospital in the case of emergency. Priced at about $150, this is more a tool of the adventure trade than a casual lighting device, even though there’s no reason not to barbecue under its warm glow. Stop shopping and start lighting the way with this stunner from Black Diamond Equipment. Despite the pure modern lines of the light, a serious 5200 mAh lithium-ion heart fuels plenty of recharging and generous runtimes at up to 205 lumens max output. If there’s one LED lantern that’s a guaranteed winner for gift-giving – even to less-adventurous friends and relatives – this is the one. Tester Comment: “Joy, pure joy, I’m not kidding. 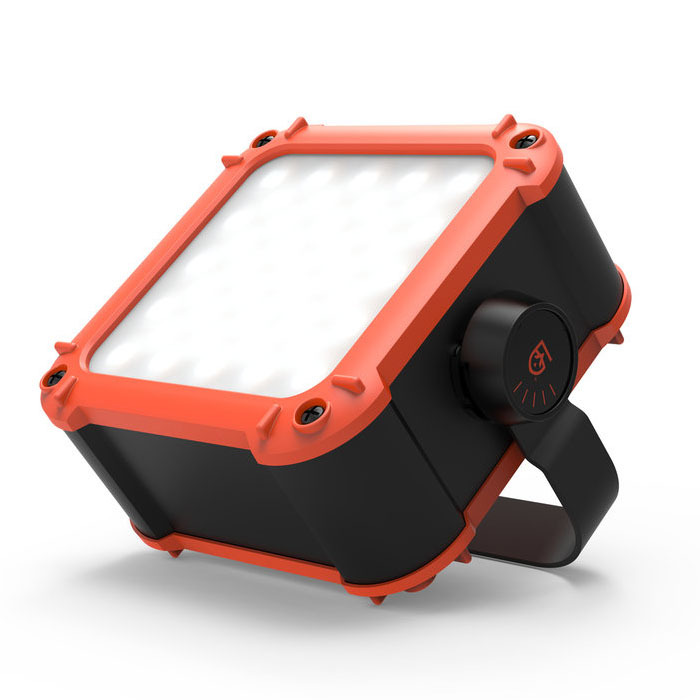 Here’s a light to use everywhere including at home, state park and on major road trips. Black Diamond thought of everything with a light and device charging station that doesn’t sacrifice a clean, polished finished for in-the-wild capability." Between two-sided lighting options and plenty of ways to fill up with power, the Goal Zero Lighthouse 250 offers a total package to frequent outdoor travelers as well as backyard recreationalists. While the top crank system adds weight and some (minor) bulk, the ability to stay out longer in the absence of USB recharging adds piece of mind to weekend, road-trip and paddle-in adventurers. 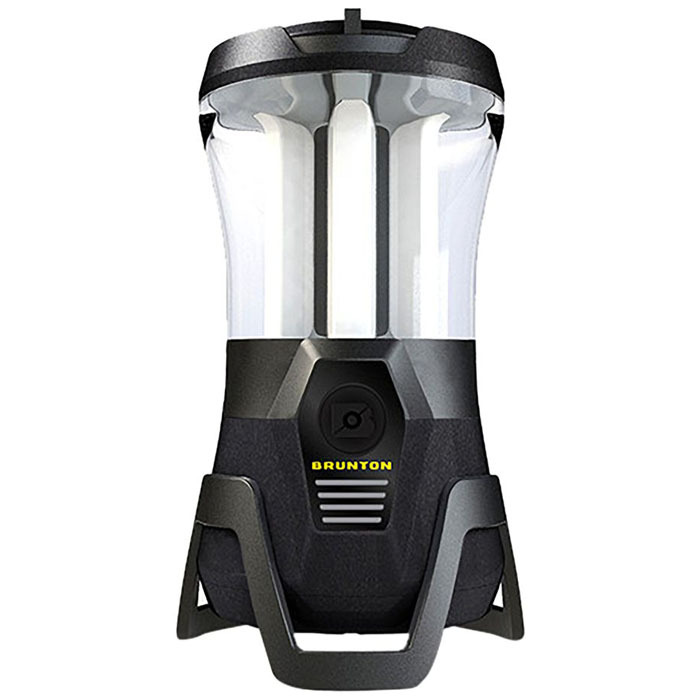 The Black Diamond Apollo Lantern turns a proven design platform into ready lighting both for tandem travels as well as groups up to six. 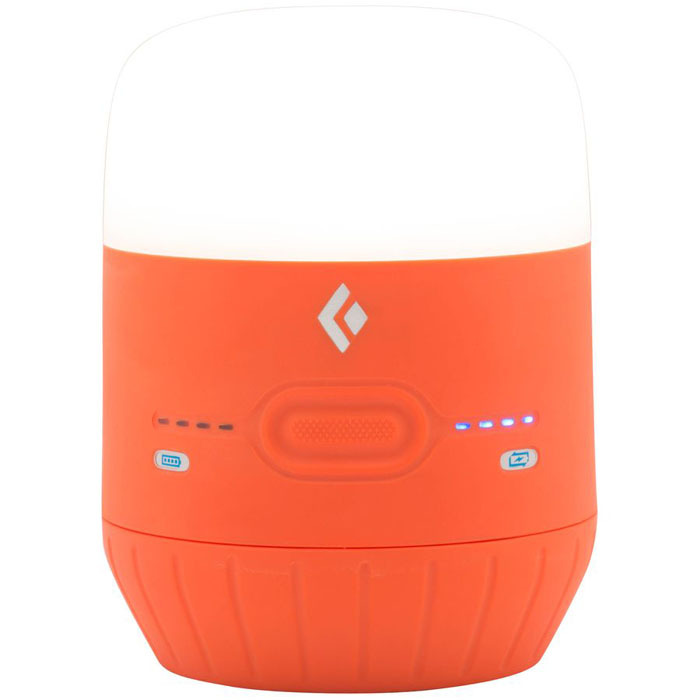 Small and light enough for shared use on backpacking trips, the LED lantern makes the most of common, AA batteries in cases where rechargeables are difficult to find or maintain. Output to 200 lumens is easily managed with the thumb switch as the lighting level is adjusted up and down. And stays locked in when Apollo is turned off and back on again. The Lightwave Amp system is one of Brunton’s most ambitious, consumer-facing products in the company’s history, one that drew Active Junky testers like moths to the flame (or campers to the LED glow, at least). A large part of the magnetism comes from the pumping projection of sound from the lantern’s tripod base. Combined with 700 lumens of truly useful illumination, the LED lantern lands in campsite or at a festival ready to transform the group’s experiment, pulse by pulse. This is the one we’ve been hoping Coleman Company would bring to the marketplace. Meaning, a bright-shining, long-running LED lantern that’s fully rechargeable at home and on the road. 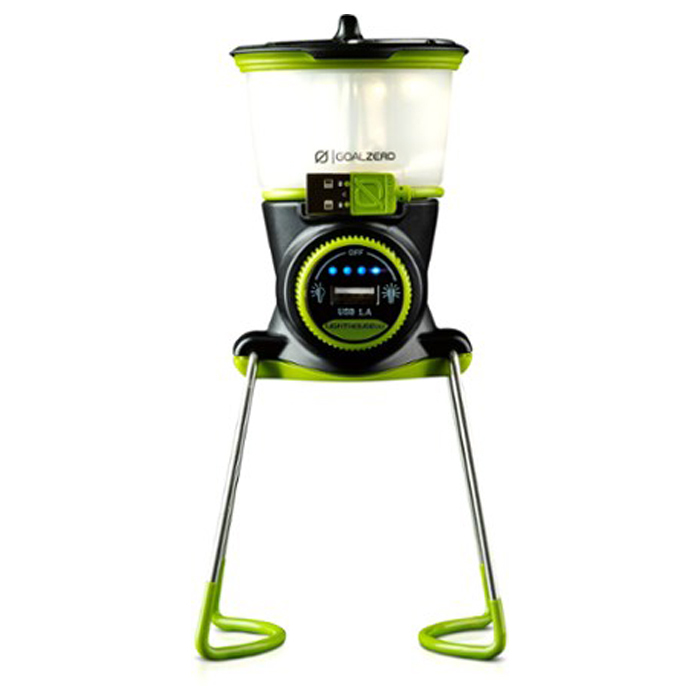 While the venerable cook system and lighting brand continues to experiment with technologies and power systems, this camp lantern stands out as ready for prime-time today. 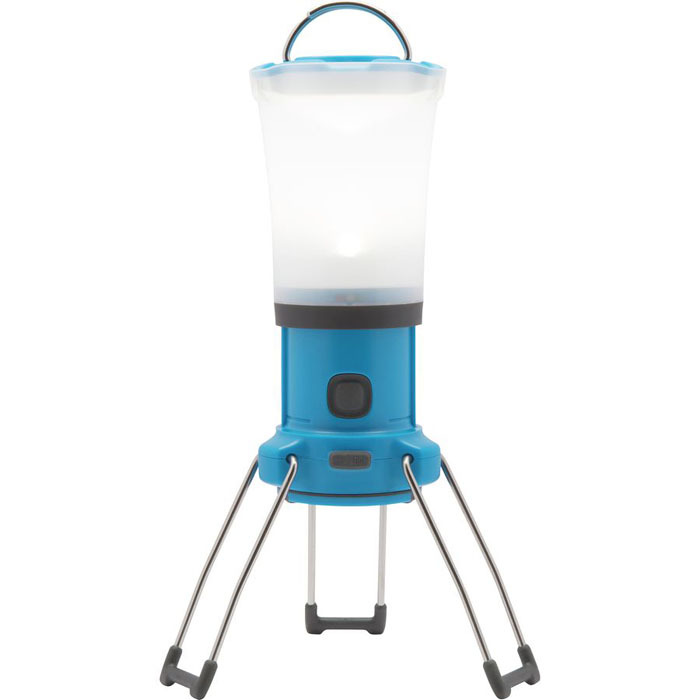 At a little over $100, this Coleman lantern equips the entire camp with efficient lighting. 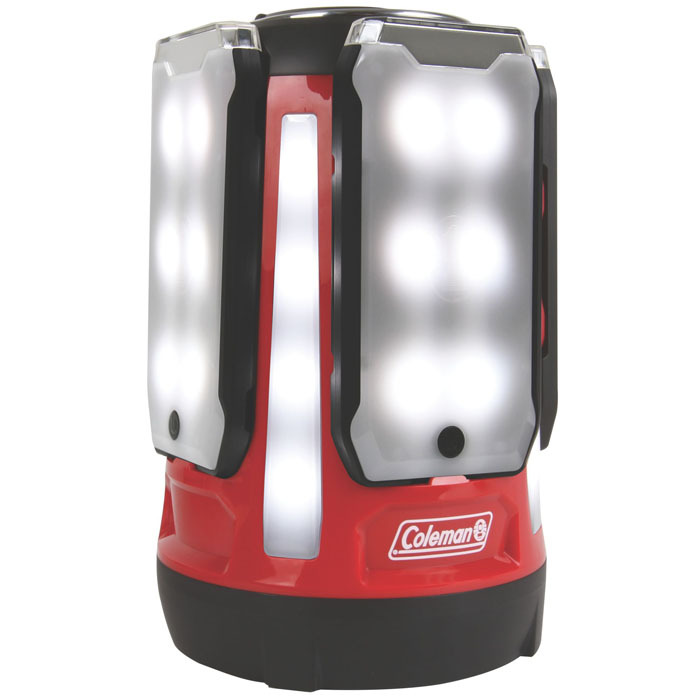 With four, clip-off light panels housed in the base unit, the Coleman QuadPro 800L LED Lantern is more about flexibility than a streamlined look or lightweight camp lantern to take on the trail. Active Junky sees a place for this one in the kit when going backcountry is not the objective. Princeton Tec is ready to become a new favorite with their eyes focused on the future. With the on-board swipe controls, adjusting Helix is more like flying a spaceship than fumbling with a camping lantern with few features and little innovation. 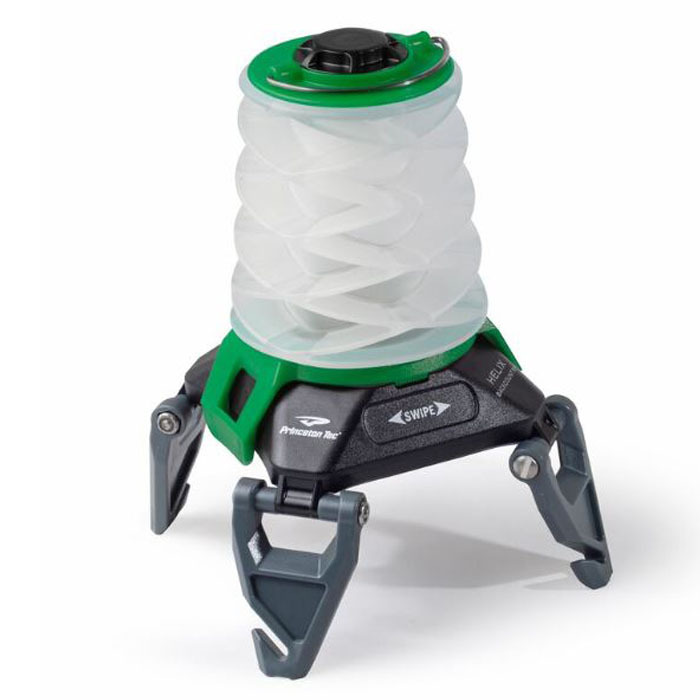 For Active Junky testers, the ability to attach the LED lantern in nearly any position compensated for the limited beam distance of the well-diffused, 150 lumens max output camp lamp itself. According to testers, this one is definitely cleared for take-off.